Follow us on our Facebook to see all the wonderful weddings and events taking place! You can find us listed on TheKnot.com for reviews and recommendations here at the Absolutely Country Wedding Barn. Absolutely Country 5 Star Rating on WeddingWire.com! 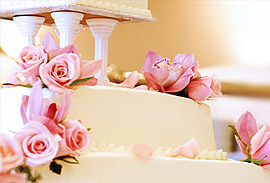 View some of our recommended vendors and services to help make your day even more special!